La Musidora is a combination of the Spanish words “la música” (music) and “la mecedora” (rocking chair). Take part in this interactive outdoor art installation located on Martin Plaza near the museum’s Hamilton Building entrance. This visitor favorite is back for another year. 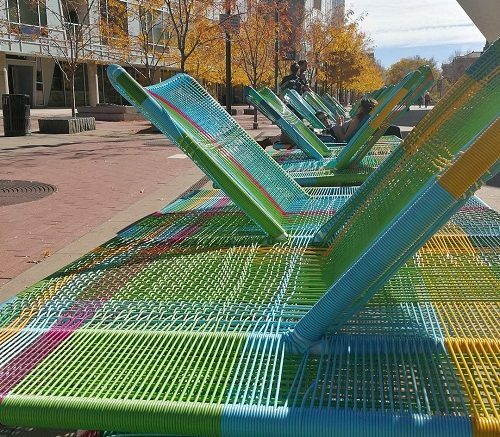 Make musical sounds by gently rocking colorfully woven chairs in tandem. 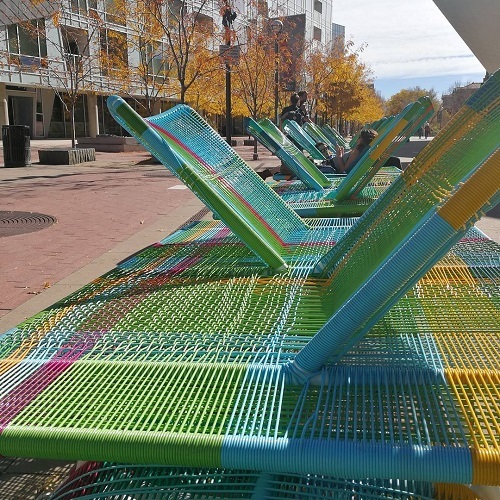 This 90-foot artwork seats a total of 20 visitors at a time. This summer experience is designed by Héctor Esrawe and Ignacio Cadena of the interdisciplinary design firm Esrawe + Cadena in Mexico City.